How secure is the system I currently use? To enter the HSBC Online site, I enter my user name and an eight-digit password that no-one else knows. 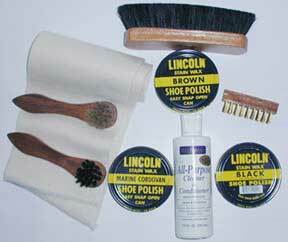 Even if someone guessed it, they could do limited harm. They could convert my dollars into euros. They could put a sell order on my HSBC shares and buy stock in a company that has even less of a clue about customer service. The site puts an additional barrier in the way of anyone who tries to transfer anything out of my account. For that, the system demands three digits, chosen at random, of my ID card number. This is as secure as anyone should need – unless they are dim-witted enough to reply to an email from hbsc@ukrainemafia.com asking for all the above particulars. Because a handful of idiots did just that, it seems I must now perform three additional, tedious steps every time I log on. One, press the button on my magic Security Device and input the eight-digit number it generates. Two, input the 10-digit code on the back of the contraption. Three, input the random choice of ID card numbers. Without the little black gizmo, I cannot do any banking business. It is an expensive, inconvenient and time-wasting solution to a problem that affects only a tiny number of people – who are so stupid that they will now be unable to access their accounts anyway, because inputting five separate verifications will be beyond them. So who does this help? And where have I seen such cretinism before? Dear Deborah, you hare-brained bimbo. Were you by any chance in the Hong Kong Civil Service before offering HSBC your talent? PS What happens when the battery runs out? Sitting outside the IFC branch of Pacific Coffee, wild American friend Odell and I discover a constructive use for HSBC’s whiz-bang, space-age, user-friendly Security Device – gambling. Will the seventh of the random, once-only combination of eight digits be odd or even? Will the majority of numbers be 0-4 or 5-9? Will the sum of the numbers be above or below 36, which I insist is the mean output and he is too lazy to argue with? Press the button, and we find out who pays for the cantaloupe, cumin and aloe-vera cappuccinos. By turning every HSBC customer into a walking Mark Six lottery, this evil little machine will surely lure Hong Kong’s vice-prone lower orders into the abyss, as they wager away their families’ welfare payments, fall prey to loan sharks, sell their wives and daughters to triad-run brothels and, ultimately, resort to suicide. Social order will break down, blood will flow through the streets that – not being adjacent to wet markets – currently don’t have any, and civilization in the Big Lychee will collapse. Does the bank’s crazed Customer Marketing Bungler, Deborah Yuen, have any idea how much she will have to answer for? Hong Kong Chief Executive contradicts senile property tycoon who spouts economically illiterate gibberish out of naked self-interest. Full details at ten. If Stanley Ho had called for a ‘high land-price policy because it’s good for the economy’ one year ago, Tung Chee-hwa would have offered him the same fawning, if vague, mutterings of agreement he gave all plutocrats, regardless of what deranged comment they came up with. Donald Tsang is made of sterner stuff – colonial civil service, standard-issue intellectual integrity and critical thinking. A hazy memory from early 1997 returns. Financial Secretary Bow-Tie expressed his opinion that there was a property bubble, and it was the fault of the Chinese government, which had pushed the British into limiting land sales at a time of negative real interest rates and booming asset prices. The vicious slap on the wrist this prompted from Mainland officials caused winces among those who noticed it, but few did – blink, and you would have missed it. Instead, people heeded his advice and refrained from plunging into real estate for a couple of months. To their horror, their planned investment – typically, a 23rd-floor, 400 square-foot concrete box wedged between a scrubby hillside and a festering waterway outside exotic Shatin – went up from HK$5 million to HK$6 million. How they cursed Donald when they finally leapt onto this fast-accelerating train. And how they spat venom at the whole world when, a year later, they crawled from the wreckage with an outstanding mortgage on their dream hovel that was more than double the property’s market value. Drooling with congenital lust for easy money, some had bought three or four. The developers made 50-60 percent profit margins that year. The belief that sticking heftier price tags on substandard homes is a form of wealth creation is not confined to the venerable Dr Ho. It is Hong Kong’s most common mental health problem, and Sir Bow-Tie knows there is no cure, though financial crises in mismanaged regional countries, periodic strengthening of our underlying American currency and outbreaks of pestilence provide occasional temporary relief. The sane few have two choices – buy banking and real estate stocks when crashes come, or become Chief Executive. DESPITE THE government’s hiring freeze, it’s always possible to sneak the odd appointment through when no-one’s looking. 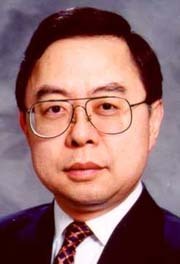 Does Dr Ho know that Sir Bow-Tie’s name is an anagram of ‘do land angst’? I am presented with a distressing dilemma. Should I admit to Hong Kong’s second most obnoxious expat Ben that I accidentally urinated on his turtle when I visited over the weekend? It was a pure mishap. Some beers, some coffee, a visit to the little boy’s room, a brief moment of carelessness – and a few drops of ‘tinkle’ missed their mark. Had I known Elmer was hiding behind the toilet I would have been more attentive. I have seen that reptile grow over the years, from a sprightly, keen-eyed, inch-long terrapin to the plodding, morose beast of today, though still not immediately noticeable when taking a quiet nap next to bathroom fittings. Now, unless I alert Ben to what happened and he takes the poor animal to the vet for emergency treatment, Elmer will probably die. But if I own up, Ben will want to know why I didn’t mention it at the time, and I will be exposed as a selfish, dishonest coward. Staring from my office window into the dark, tempestuous gloom of Hong Kong’s rainy season, I realize that this is a time to follow my conscience. And my conscience says – forget and deny everything. “Why are you writing this stuff – it’s total rubbish?” Curvaceous Administrative Officer Winky Ip takes a sip of Foreign Correspondents Club jasmine tea and delicately stirs peanuts into her congee. “You owe that Deborah Yuen person an apology,” she continues. 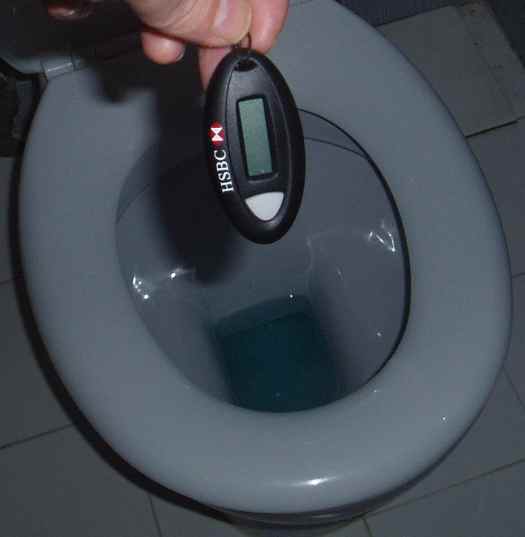 “I’m using this.” She pulls out her HSBC magic key ring. “It’s simple. You just enter an extra six-digit number when you log on. And that’s it.” Well, yes. I found this out yesterday. But whose fault is it that when I opened my mail last Sunday I gained the impression of a grossly impractical and irritating new logon system, rather than a mildly more tiresome one? Step forward, HSBC’s copywriters, whose cumbersome use of language, lack of clarity and abysmal powers of description are a disgrace to their sorry little craft. But I keep these thoughts to myself, sensing that there’s more to come. HONG KONG University Medical School alumni are still whining about the proposed re-naming of their alma mater to recognize tycoon Li Ka-shing’s offer to donate a billion Hong Kong dollars to the institution. It is surely a measure of how vastly overpaid our city’s doctors are that they see this sum of money as a gift horse to be subjected to a contemptuous oral examination and turned away. If Li offered me that sort of money, I’d change my name by deed poll to The Barbarella Queen of the Fairies Genito-Urinary Diseases Clinic – in a second. If that’s what he wanted. No problem. I’ll give him a call. Shoe-shining property developers invade the pages of the South China Morning Post. ‘Congratulations to Mr Donald Tsang on his election as Chief Executive..’ announce Kerry Holdings and Properties on page 7. 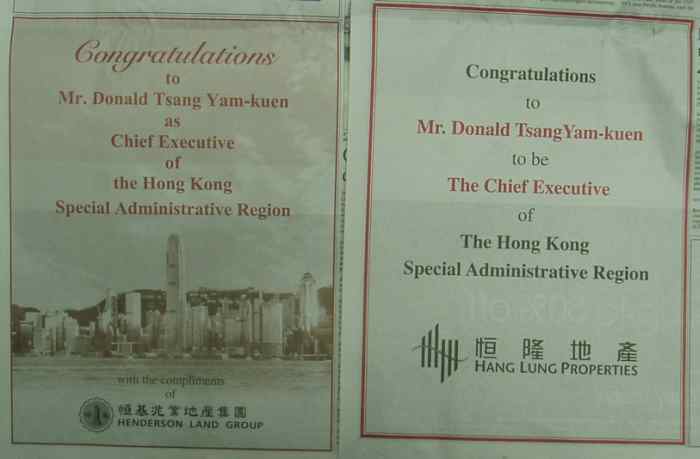 ‘Congratulations to Mr Donald Tsang as Chief Executive…’ echoes the linguistically challenged Henderson Land on page 8. ‘Congratulations to Mr Donald Tsang on becoming Chief Executive…’ oozes Li Ka-shing’s conglomerate Cheung Kong on page 9 (his power monopoly HK Electric gets a name check here, too). ‘Congratulations to Mr Donald Tsang to be Chief Executive…’ mumbles the semiliterate Hang Lung on page 10. Which is the most pitiful of these companies? Kerry is run by SCMP proprietor Robert Kuok, the Malaysian tycoon whose tentacles have extended to the Imperial Japanese during the Pacific War and Burma’s junta in more recent times. Hang Lung is the plaything of Ronnie Chan, the thinking man’s James Tien and former Enron director. And major-league conference whore – he thinks the audience is laughing at his wit, when they’re rolling in the aisles at the thought that he has considered himself Chief Executive material. “Hong Kong is the most communist place in China.” That was a good one. Kuok at least built his own fortune, however rancid it might be. Ronnie simply inherited the firm Daddy founded and turned it from a big player into a second tier has-been – unable even to draft an odious and slimy bit of groveling in correct English.